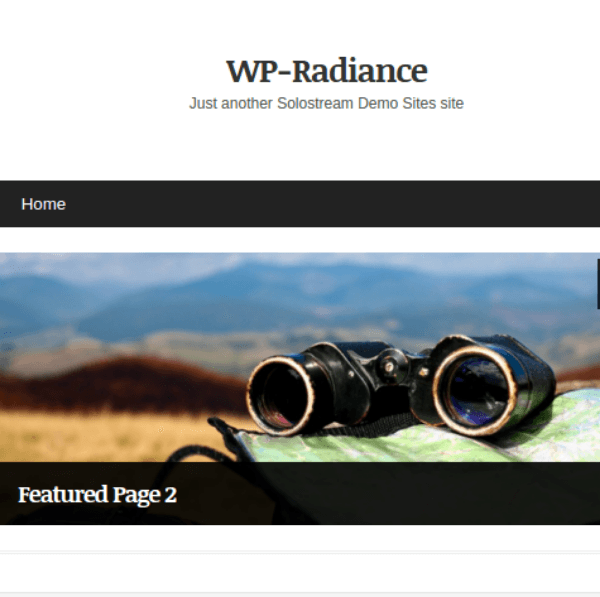 WP-Radiance: A premium WordPress theme that comes with a responsive design and it is designed and developed by SoloStream Themes. 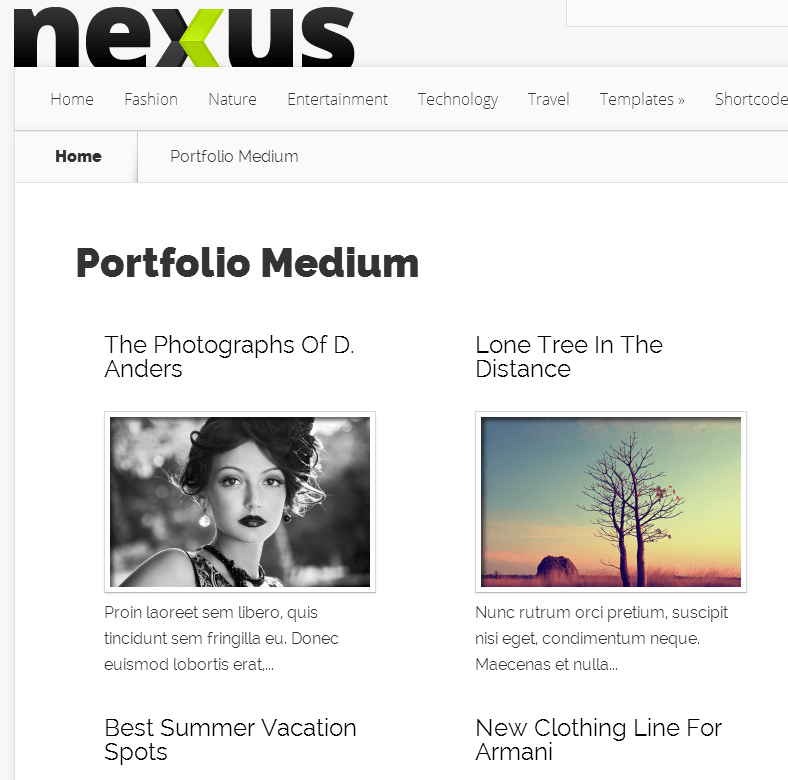 It is a multipurpose theme, looks good for Business and blog/magazine kind of websites. It’s responsiveness feature allows it to look good on every device screen sizes. It contains full width slider with effects to showcase all your business related work with ease through slideshows. 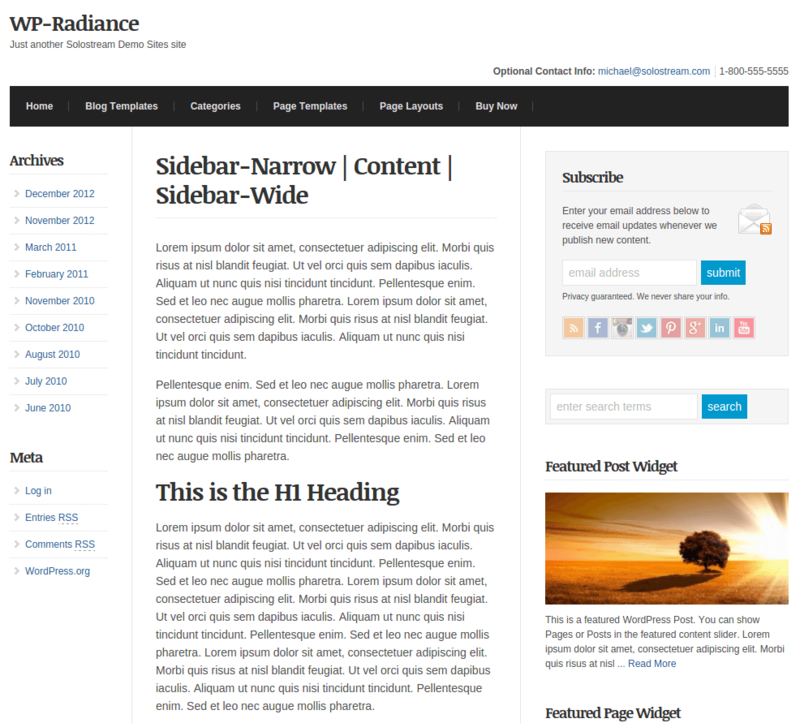 It has Featured Posts Slider and Featured Pages Slider. It is user-friendly as well as easy in customization with its theme settings panel. You can set business logo at the top, a favicon, background image, mobile navigation menu text, etc. It provides you with alternate Business Home Page Template so you have choice in between homepages. It is compatible with latest versions of WordPress and also with latest browsers. It also provides wide variety of layout options. It is bundled with All Authors Page Template, Portfolio Page Template, Archives Image Gallery, Built-In Author Page, Site Map Page Template, Multiple Home Page Post Layouts, Optional Magazine Style Home Page Layout, Multiple Post and Page Layout Options. Besides all these layout options it also provides various widgets like Featured Page Widget, Featured Post Widget, Category Posts Widget, Subscription Form Widget, Social Media Icons Widget etc.